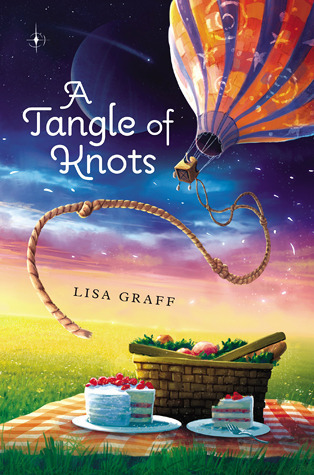 Told in multiple viewpoints, A Tangle of Knots is a magnificent puzzle. In a slightly magical world where everyone has a Talent, eleven-year-old Cady is an orphan with a phenomenal Talent for cake baking. But little does she know that fate has set her on a journey from the moment she was born. And her destiny leads her to a mysterious address that houses a lost luggage emporium, an old recipe, a family of children searching for their own Talents, and a Talent Thief who will alter her life forever. However, these encounters hold the key to Cady's past and how she became an orphan. If she's lucky, fate may reunite her with her long-lost parent. The trouble is that Cady has been living at the orphanage for ten whole years – which is a record, because usually Miss Mallory matches girls within days, and sometimes in an hour! The story doesn’t encompass only these two, though. It is told from many viewpoints, and their threads of story woven together to paint a bigger picture of choices and fate, caring for others, and following your heart. It’s sweet without verging on stifling, and magical without losing immediacy or a contemporary setting. Recommended for: fans of Lauren Oliver’s Liesl & Po, those who enjoy light fantasy, anyone with an interest in well-woven middle grade stories, and all those who love adventures and cake. Interested in more middle grade books? Check out Middle Grade March! What a beautiful review C! I loooove this line: "This is a gentle fantasy with a beating heart." I think we had the exact same complaint - the changing narrators, an effect that eventually falls into the background. I only recently stumbled across this book--am enthralled by that gorgeously vivid cover--and I'm glad to see that the contents stand up to the cover. The synopsis reminds me a bit of Ordinary Magic, one of my favorite MG fantasies of last year, so I'm curious to give this a go! I love the sounds of this book; any food-related storylines in books draw me in. I'm always on the lookout for great middle grade fiction and this sounds like it may just fit the bill. Great review! That sounds like such a lovely read. Adding it to my Goodreads TBR. And thanks for the chance to win. So sweet!